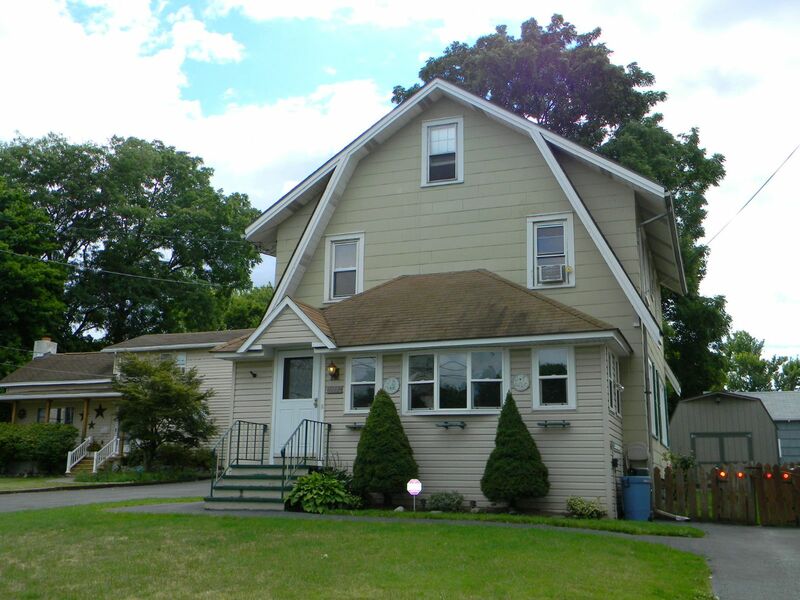 Syracuse Home For Sale - Contact Bob McTague at 315-882-6610 – 1112 Lemoyne Avenue, Syracuse, NY – Welcome Home! Great value for this 3 bedroom "Dutch" Colonial home centrally located in a desirable neighborhood on the Northside of Syracuse. The first floor features a new kitchen, formal dining room, living room, with a wood burning fireplace, and a newer enclosed front porch. The second floor offers 3 bedrooms, a full bath, and a full walk up attic. The exterior provides a fenced in yard, and a shed connecte, d with cable and electric. Major updates include newer windows, electrical, and mechanicals. Centrally located to schools, shopping, hospitals, and major highways. Great opportunity! Click the following link for more information on the home.